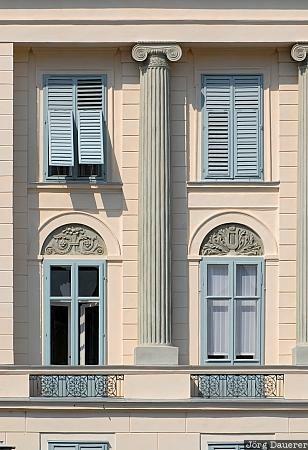 Windows, shutters and a column of a facade in downtown Graz. Graz is the capital of the state (Bundesland) Styria (Steiermark) in Austria. This photo was taken in the afternoon of a cloudy day in August of 2007. This photo was taken with a digital camera.